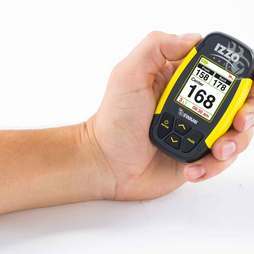 Simple, Fast & Accurate! 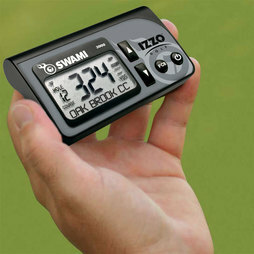 SWAMI is everything a golfer needs in a GPS unit. 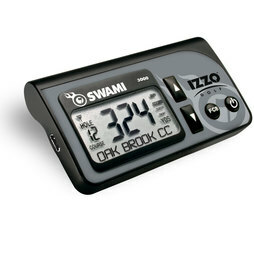 Featuring Insta-Lok Technology & powered by the latest SIRFStarIII chip, the SWAMI instantly calculates distance to the Front, Center and Back of the green of over 15,000 US & Canada courses. 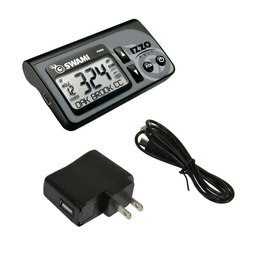 Unit Size: 3.75" x 2" x 1"
The Swami 4000 has the same speed and accuracy you’ve come to love in our Swami devices, but adds a vibrant 1.8" color display that’s easy to read and supports 12 different languages. 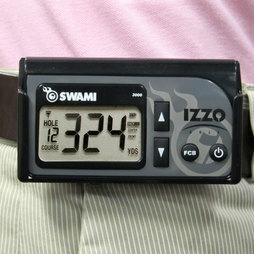 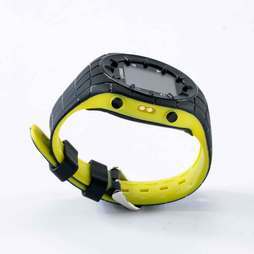 It’s the Swami you wear on your wrist. 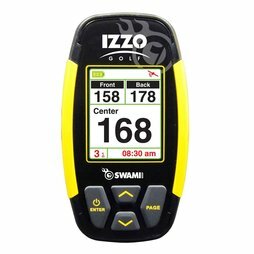 This compact device makes it easy to get accurate distances, includes auto hole advance, shot distance measurement, digital scorecard and comes pre-loaded with 25,000+ worldwide courses!